The Nissan Skyline may have started back in 1957 as a mundane grocery getter, but as with all good things it evolved into a true sports car. 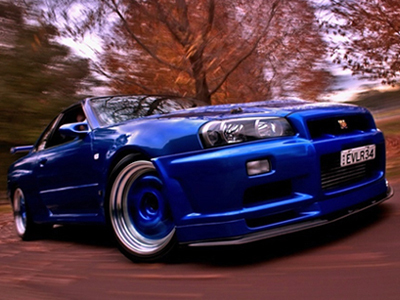 The R34 GTR V Spec II being the ultimate factory example of this Japanese muscle car. The Nissan Skyline we are writing about is our favourite starting with the R32 which debuted in May of 1989,it featured the RB series straight six,HICAS four wheel steering (rear wheels hydraulically linked to front) The Nissan Skyline GT-R being top of the range came with twin ceramic turbos,all wheel steer,all wheel drive and 280hp (206kw).Yeah right the actual rating was more like 320hp.The Nissan Skyline GT-R also featured a larger intercooler,larger brakes,aluminium front guards and bonnet plus flared wheel arches all round. When designing the Nissan Skyline GT-R,Nissan’s target was the Porsche 959,and was intended for Group A racing.This model soon earned the nickname “Godzilla” for its awesome track performance,by cleaning up in the JTCC series and the N1 Super Taikyu.The Nissan Skyline was also raced in Australia in the Bathurst 1000 were it won in 1991 and 1992,all these wins soon spelled the end of Group A Racing,the formula being scrapped.The Nissan Skyline R33 GTR was released in 1996 with minor changes the major one being the switch to ball bearing ceramic turbos plus changes to the dump pipe and intercooler which improved the torque response,all Nissan Skylines GT-Rs also received Brembo brakes.In May of 1998 the R34 version of the Nissan Skyline was produced,with the main emphasis on sportiness it also featured the most fuel efficient engine ever used in a Nissan Skyline. 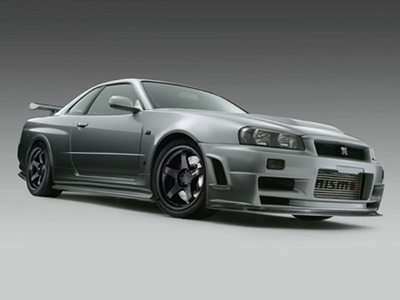 The Nissan skyline GT-R returned in 1999 with ball bearing turbos,a beefier 6 speed Gertrag gearbox, the Nissan Skyline GT-R V Spec II featured addional aero pieces,brake vent ducts,a diffuser and carbon fibre bonnet. 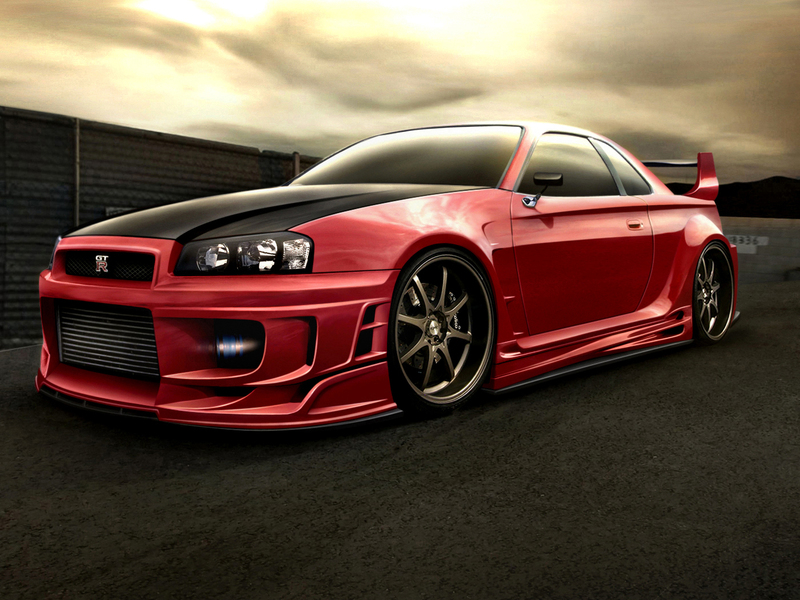 The Nissan Skyline GT-Rs in there many forms are considered to be the most popular for the sport of drifting,a form of racing where the car spends most of its time sideways with the rear tires squealing and smoking in protest,and believe me it is quite a spectacle to watch.